The Outcasts were formed in Belfast in 1977 by three brothers, Martin, Colin and Greg Cowan and Getty (Colin Getgood). They recorded 8 singles, 2 tracks on 2 eps and 3 studio albums. 2 singles, 2eps and 1 album were for the legendary Good Vibrations record label.1 later track got day time national UK radio air- play and reached the lower end of the UK charts. They recorded 3 sessions for the famous BBC broadcaster. 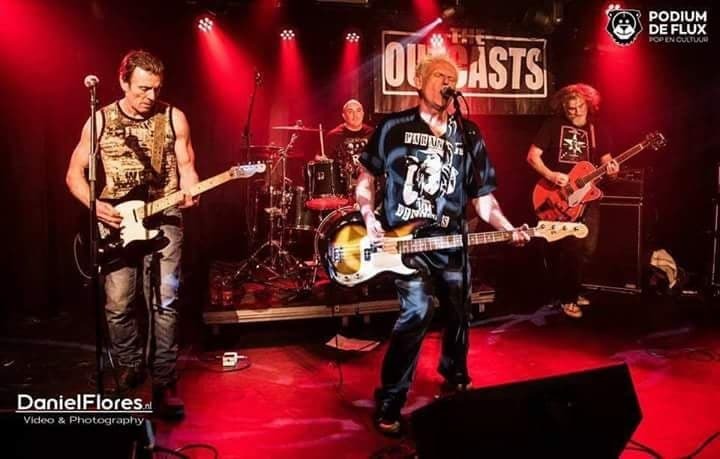 In 2019 The Outcasts will be releasing a 4 track ep on vinyl (5 tracks on cd) of new material for a US Record Label. Also a double gatefold album of all their singles, both sides, plus some sessions and live recordings will be released by another US Record Label based in Japan and will feature notes by Martin Cowan explaining how he wrote each song, period photos and period press articles. The Outcasts will be touring Japan in early May, 2019, and the US end of the year. – want to book a show? Get in touch!